A central mission of FRONTLINE is to hold institutions and officials accountable, often by making their actions more visible to the public. As a news organization, we try to hold ourselves to the same standard. 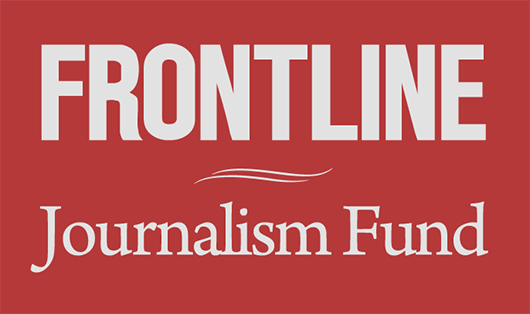 We launched the FRONTLINE Transparency Project to make the reporting in our films more accessible and to shine a light on the source material for our journalism. Over several films, we’ve created new ways for our audiences to search, experience and share the in-depth interviews that go into making a documentary film. Today, hundreds of interviews conducted by our filmmakers are online in video and text, published in a format designed to make it easy to navigate by subjects and themes. We’ve also developed interactive versions of films that make it possible to see key quotes in context. Viewers can jump from interview excerpts that appear in a film to the full interview, or bookmark a quote to explore later. These visual footnotes allow audiences to check our work or dig more deeply into a subject. For Putin’s Revenge (2017) FRONTLINE created an interactive archive of all 56 interviews conducted for the two-part documentary series. The interviews collected in The Putin Files have been viewed more than two million times. In Trump’s Takeover- The Interactive Film (2018) we built a viewing experience that linked highlighted quotes to text interviews, enabling viewers to see quotations in context by clicking an icon on the streaming video. For Trump’s Showdown – The Interactive Film (2018) we added a new design to make it easier to navigate between the film and the source material in more than 60 original interviews. In The Facebook Dilemma (2018) we included more in-depth videos among the 29 interviews in the collection, and added bookmarking of excerpts and chapters for navigating individual interviews. FRONTLINE’s commitment to publishing interviews is nothing new; we’ve been putting transcripts online since 1996, in the early days of the internet. Transparency and accountability are important parts of our journalistic guidelines. Today, we believe that transparency can play an even more important role in making journalism more credible. A recent study by the American Press Institute found that 68% of Americans said transparency was a very important factor in whether they trusted a news report. You can read more about the Transparency Project in this article from Nieman Reports. For more information, contact Philip Bennett, FRONTLINE’s Special Projects Editor.